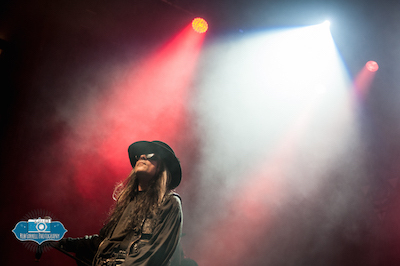 So to the main event, Fields of the Nephilim, The Nephilim, The Neff, Carl McCoy. I first saw them back in 1987 in some tiny polytechnic, and came out covered in flour, ringing ears but with complete love. They rarely tour these days, no, correction, they never tour and rarely play, in England we’re lucky to get two of three gigs a year and I had high hopes tonight. I wasn’t disappointed. 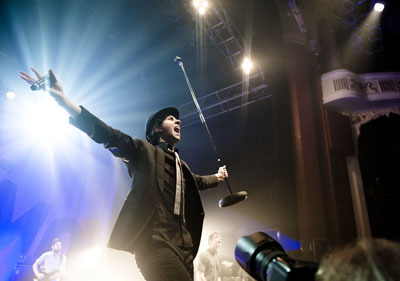 t’s no secret that Maximo Park are a near-perfect live band. 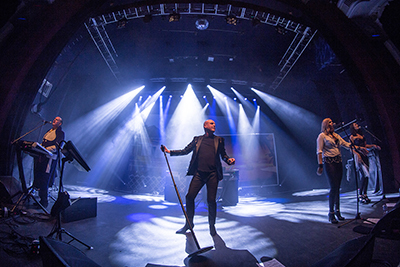 It’s also a well-known fact that they have made some of the best albums in UK indie within their 12-year career. This is reflected tonight at Shepherd’s Bush Empire- a setlist which does not heavily focus on their latest release ‘The National Health’, but instead provides a good dose of their discography which their fanbase cannot get enough of, judging from the unending movement in the venue.